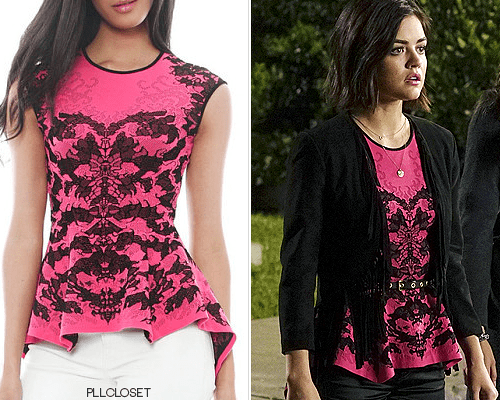 Here were my favorite pieces from last night’s episode of Pretty Little Liars! The show is heating up, but I’ve also been loving the fashion this season. 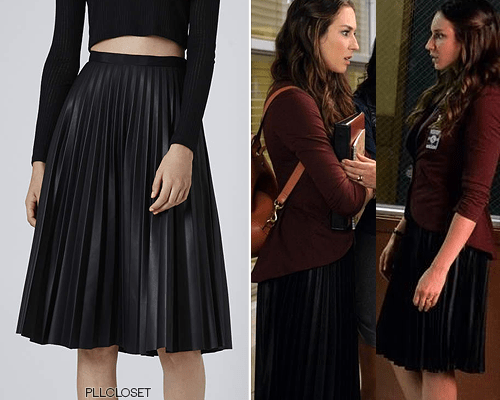 Topshop ‘PU Black Pleated Midi Skirt’ – $110.00: These pleated midi skirts are going to be big during spring time. I think they look great with crop tops and there are so many in fun pastel colors to wear in the spring. Also, if you can’t wait for the weather to warm up, try wearing the skirt with a fitted turtleneck and some fun patterned stockings. 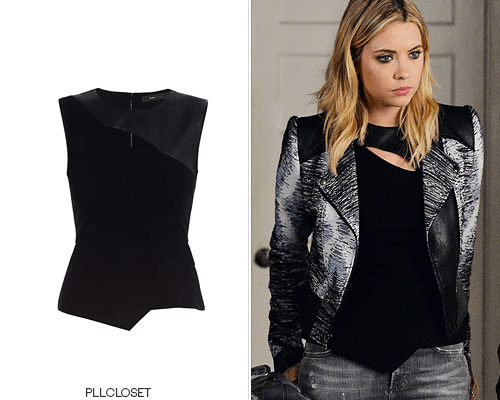 BCBGMAXAZRIA ‘Farrah Asymmetrical Keyhole Top’ in Black – $82.80 BCBGMAXAZRIA ‘Jimmy Moto Jacket’ – $159.20: I really like these pieces both separately and together. The asymmetrical cut and leather detailing is a fun play on a standard peplum top. The jacket is also super edgy. 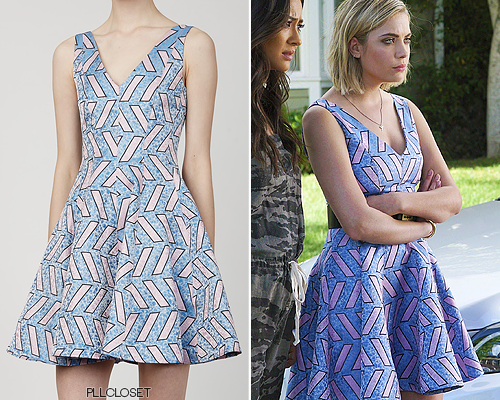 I’m surprised this wasn’t given to Aria. 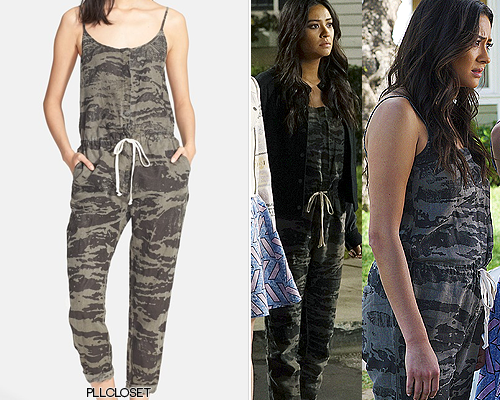 However, I think Hanna went for a more monochromatic look, which actually works well here.